Terrorists behind last month's Paris attacks modeled their assault on tactics developed by Al-Qaida in Iraq, now the Islamic State (ISIS), during the Iraq War, according to a new Islamic State manifesto, "Black Flags From the Islamic State." Originally disclosed last week by the Investigative Project on Terrorism (IPT), the 130-page ebook details the extensive planning that went into the Paris attacks and describes how plotters evaded detection by Western intelligence. Other aspects of the manifesto detail the history of the Islamic State's emergence from Al-Qaida, its plans for the future, and how it operates. The Paris attacks, which left 130 people dead, were enabled by at least 200 operatives in undisclosed locations who worked for two months, the ebook claims. Some lived near the Belgian-German border and in other European countries. Salah AbdelSalam, the surviving attacker, escaped by using a route through Eastern Europe and Turkey to Islamic State territory that was established in advance in case the plot was thwarted, "Black Flags From the Islamic State" says. "This has shocked the Intelligence agencies and many European countries are thinking of closing their borders so future Mujahideen cannot escape to neighbouring countries easily. (The praise is for Allah: While the Islamic State is smashing borders in the Muslim world, the European Union is crumbling and returning to the Darker Ages of enforced borders. )," "Black Flags From the Islamic State" says. Former Canadian intelligence operative Mubin Shaikh, who infiltrated and brought down the Toronto 18 jihadist plot, expresses skepticism about the 200 number. ISIS propagandists often exaggerate. The Paris attacks could have been done with far fewer operatives, he says. [You need to keep] better tabs on people," Shaikh says about intercepting jihadis trying to blend in among the refugee flow. "I don't know if it's going to require ... biometric passports because that's the only thing they can do if these guys are slipping out and slipping back in, it has to be at that point of exit/entry. "It means having a fingerprint scan associated to your passport. I don't think that will be a problem in France because they already are surveillance-heavy as it is." Attack mastermind AbdelHamid Abaaoud divided the tasks needed for the operation, the ISIS booklet claims. 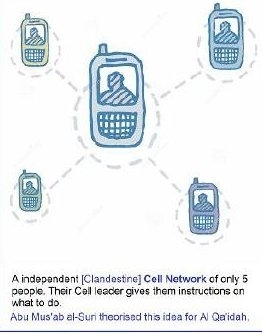 One cell planned the attacks, recruited operatives, directed and coordinated members of the operation and maintained communications between the various cells. Another cell armed the attackers with their AK-47s, suicide belts and other explosives, and kept watch on French security forces' movements. This second group picked up Salah Abdeslam and took him to a safe house. The attackers comprised the third cell. Abaaoud recruited attackers one-on-one to help evade detection by intelligence services. He communicated in person, telling the attackers not to speak with others. "Black Flags From the Islamic State" brags that Abaaoud slipped in and out of Europe hiding among the throng of refugees traveling through Turkey into Greece and then deeper into the continent. He recruited Bilal Hafdi, a French citizen previously thought to have been killed fighting in Syria, to do the suicide bombing at the Stade de France. Abaaoud also tapped two unidentified men who followed a similar path into Europe that he used by blending in with refugees. The attackers followed rules recommended in the Islamic State manual "Safety and Security guidelines for Lone Wolf Mujahideen" and hid their degree of dedication to Islam. They avoided mosques. Salah and his brother owned a bar so they would not "be perceived as 'devout Muslims' in the sight of the security services." "[T]he Cells role is to complete a mission, hide, separate and go back to their daily lives or escape to another country separately after the attack," "Black Flags From the Islamic State" says. It notes that Al-Qaida used this same tactic of pretending to be non-Muslim or non-practicing Muslims to evade detection by Pakistani intelligence and the CIA following the U.S. invasion of Afghanistan in 2001. Western intelligence agencies lack the manpower needed to monitor the activities of thousands of Muslims and sift through the myriad of data obtained through electronic means, let alone recruiting enough human spies, the manifesto boasts. Jihadis are advised to avoid using phone or computers, and instead use anonymous sites like Ghostbin or privnote, online games with chat features. This inability to gather adequate human intelligence may have resulted in part from a political backlash against the Bush administration's policies, a former high-ranking E.U. intelligence officer, who asked his name not be disclosed, tells the IPT. Political lobbies and left-of-center prosecutors in Europe pushed for policies that destroyed whatever work that had been done to infiltrate terrorist groups, recruit trusted sources and arrest jihadis to obtain information. These lobbyists exploited civil-rights fears about jihadist renditions – a policy also used during the Clinton administration – which curtailed the ability to get needed information. President Obama's election and the end of the surge in Iraq marked a turning point for the worse in the West's ability to gather intelligence, the source says. Strong human-intelligence gathering is vital, Shaikh says. Islamic State jihadis noted this in their manifesto, "How To Survive in The West: A Mujahid's Guide:"
"By 2010, Europe and the West was (sic) close to winning the 'war on terror' in the West because it was able to stop most major terror attacks from taking place within their home countries. They had mastered the art of counter-terror by being on the offensive instead of just the defensive. They would do this by doing 'sting-operations' whereby the FBI would send agent provocateurs whose job would be to entice young Muslim men to do a terror attack." Policies that began to undermine human intelligence collection largely came into effect after 2010, according to the E.U. intelligence source. ISIS wants to use hit-and-run tactics to force E.U. countries into massive spending for law enforcement and to force the shutdown of major cities – as happened in Brussels and Paris following the Paris attacks, "Black Flags From the Islamic State" says. ISIS hopes overreactions by police, security services and right-wing groups will help alienate Muslim populations and make them ripe for waging jihad in Europe. 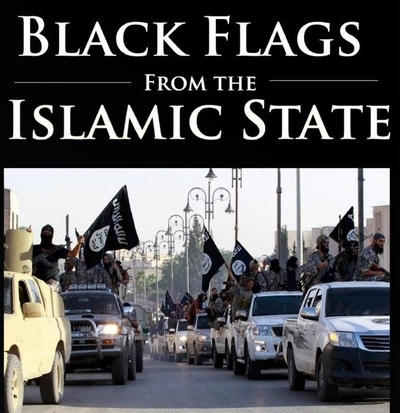 "The reality is that so long as Mujahideen in Europe keep their secret Cells secure from outsiders, and avoid electronic communications for planning attacks, they are likely to succeed in their attacks because weapons are flowing more freely across Europe due to an increase in organized gangs and less police (due to a poorer economy:)," the "Black Flags" ebook says. The manifesto holds up the Paris attacks as a textbook example of adapting tactics developed and perfected on the battlefield in Iraq and Syria for use in the West. Abu Musab al-Zarqawi, the slain leader of al-Qaida in Iraq, employed former members of Saddam Hussein's intelligence service – some of whom hold important positions in the Islamic State's infrastructure. ISIS is encouraging small cells to preserve secrecy. "The mix of military expertise, terror, and survival of a few thousand Mujahideen into a lethal force. 1 Mujahid is equal to 100 disbeliever soldiers ...," the "Black Flags" booklet says. During the Iraq conflict, the Islamic State, then known as Al-Qaida in Iraq, established cells of five fighters or fewer to do missions. One person would attack, another would help the attacker escape, while others would provide a hiding place or dispose of weapons. "Their strength lies in their secrecy and small number because less numbers = less people to spill secrets of the small group. Cells run independently, they find their own funding (money), they plan their own attacks, and perform their own hiding places," "Black Flags From the Islamic State" says. It provides an in-depth analysis of what intelligence agencies do to track terrorists and their associates. Like other Islamic State instructions to its jihadi followers, "Black Flags From The Islamic State" says to "stay off the phone," avoid using ATMs, use cars that don't belong to them and travel at night. "The aim of [ISIS leader] Abu Bakr [Al-Baghdadi] was to use the Iraqi Jihad model in Syria, and once it worked there, to export this model across the entire Muslim world for newer Jihads," "Black Flags From The Islamic State" says. Desired future jihads include: toppling the Saudi monarchy and seizing Mecca and Medina, which it hopes will lead to the arrival of the Mahdi, Islam's promised messiah, around 2019; India; and the West. It notes that a "Clash of Civilizations" is inevitable and claims that the rise of neo-fascist groups in Europe, Donald Trump and Pamela Geller in the U.S. will help them achieve their goal of radicalizing Western Muslims. "Muslims are realizing day by day that there is no honor except in Jihad, and there is only humiliation in sitting and talking about 'peace,' but they get no peace unless they fought to defend themselves," "Black Flags From the Islamic State" says. Jihadis in the West are advised to study and copy the sleeper-cell tactics used by Iraqi insurgents. They should start with lone-wolf attacks to inspire others to join the cause. As more people join the cause, the jihad will shift toward using sleeper cells and ultimately morph into an insurgent army. "Ones the insurgency is in full action, the Organisation leader can tell his subleaders to organize full scale attacks," "Black Flags From the Islamic State" says. Islamic State leaders put their hope in what they call "Mujahid cubs" – children the group has indoctrinated with jihadist ideology that it hopes will arise even if the West succeeds in ousting them from the territory ISIS controls. "Jihad will not be dependent upon Abu Bakr al-Baghdadi's inner circle. Infact (sic), killing the leadership will be even worse for the Americans because the newer generation will be even more brutal because everytime America tries to destroy an Islamic armed group – a even more violent group is created," "Black Flags From The Islamic State" says. It suggests that killing Baghdadi would herald the arrival of the Mahdi, who will come at the end of the world, a clear suggestion that the group may be trying to keep its fighters and followers motivated. If they lose, ISIS leadership plans to hide in the deserts and mountains again, only to "start the -> Lone Wolf -> Clandestine Cells -> Insurgency -> Army technique, all over again." It occurred to me that since Muslims win battles in court. WHY has there not been a law suit filed ordering an investigation into these officeholders in the Obama administration that are clearly working against us? Surely there is some bright litigator that can create a great case!!!!! Fingerprints? Recall that the OPM of the USA was recently hacked, and up to 4 million US citizens of good standing had their fingerprints downloaded by the Chinese. Fingerprints are therefore no longer a valuable tool for biometric passports. It seems clear Isis will take credit for anything that happens worldwide. This could be just that. These men weren't super hero's just killers anyone could have done this. Murder happens all the time. Isis uses these events as recruitment tools and make the killer feel like 007. This propaganda appeals to young men in 20's looking for adventure. Heck Isis even throws in a bunch of virgins if you'll blow yourself up. A lot of people are running from this group and it can't keep the other branch of Islam contained forever. Fear and intimidation has been used on every school ground for years. The internet is Isis playground. So much information above published so quickly since the attack. Hmm...yet even though Paris was on their highest alert possible, they were still blind-sided completely. So what are we talking about...sheer law enforcement incompetence, too many Muslims allowed in Paris because their multi-culturalism exploded out of control due to their politician's ignorance and stupidity and it was too late to reverse, population were sheep going to slaughter bc they can't defend themselves? All of the above? Yep! Next stop, gun free society stupidity is still a French trait. How long before they are again so decimated by Muslim violence that they'll reverse on that idiocy as well?